What Are Aromatherapy Carrier Oils - When And Why Should We Use Them? Some carrier oils are more popular and easier to get hold of.....and there are definitely a few that I use far more than others! Carrier oils, also known as base oils, can be almost any vegetable, nut or seed oil, and often have therapeutic properties of their own. They are pressed from the fatty portions of plants and do not evaporate or have such a strong aroma as essential oils. Some are odourless, but often the smell is faintly sweet and nutty. There are many different types to choose from, but two that are used often in aromatherapy are grapeseed oil and sweet almond oil. They are used to dilute essential oils which are far too concentrated and powerful to be used directly on your skin. The mixture then allows your hands to move easily over skin. Only a few drops of essential oil are usually needed for aromatherapy massage, so by mixing them into carrier oils means the mixture goes further! They are also widely used in making bath and beauty recipes. The often forgotten sunflower oil is often included in natural skincare formulations because of all the skin health benefits it provides - it is one of the first base oils I turn to when making my lotions and potions! As is the magical pomegranate oil......a little goes a long way, which is just as well as it is pretty expensive......but well worth including in facial serums and creams for all its amazing anti-ageing and skin health properties. Baobab oil is less well known, but if you are wanting to formulate your own natural skincare products it is well worth considering.......it has been used in Africa for centuries because of its potent therapeutic benefits for both skin and hair. All base oils should be totally pure, unrefined and if possible cold-pressed. 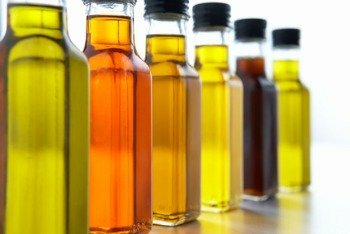 Although you can buy some of the vegetable oils from supermarkets they may not be cold-pressed, so it is better to buy from specialist shops or health food shops. Look for oils with no additives and make sure they haven't been hanging around on the shelves for too long! Do not use mineral oils! They do not penetrate the skin very easily, so although essential oils will dissolve in them it is difficult for them to pass through the skin and into the bloodstream. Mineral oils are found in baby oils and many moisturising creams. Don't make the mistake of thinking that carrier oils are not really that important compared to the essential oils chosen. They are! They have health giving properties of their own. As well as essential fatty acids, they contain minerals and vitamins. They can be fantastic for improving and softening your skin. The base oils can ease irritated skin and in some cases psoriasis and eczema. And what about those wrinkles! How else could you experience the soothing power of an aromatherapy massage! So how do you choose the right carrier oil for your needs? You may want to choose one which has valuable healing properties of its own to complement those of the essential oils you are using. Sometimes a blend of oils is more beneficial than one single oil. 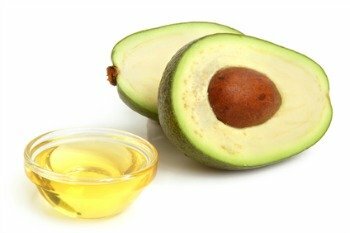 For example, avocado and apricot kernel oils are both very rich and nourishing, and very good for dry and ageing skins. So you may want to add a small quantity of one or the other to some grapeseed oil, or sweet almond oil. Wheatgerm oil, which is rich in Vitamin E, is often used to help reduce scar tissue. It is a very thick, sticky oil and not easy to massage with on its own, so it is usually blended with one of the free-flowing oils such as sweet almond. Pomegranate, is very useful for sports and therapeutic massage. It has powerful anti-inflammatory properties which help with inflammation, swelling and general aches and pains. rose hip, a regenerative oil and effective for eczema and ageing, and on wounds and scars. You really do have a good choice! Aroma, of course, plays a part. You don't want it to compete or conflict with the aroma of the essential oils in your chosen blend. Although olive oil has many therapeutic properties it is generally not used in aromatherapy because of its strong odour. How do you store carrier oils? These specialised vegetable oils are more perishable than supermarket oils so once opened they should be kept in the fridge. One exception to this is avocado oil. They can turn cloudy or solidify, so you may need to take them out of the fridge for a while before using. Use your nose to decide on freshness - there should be no traces of rancidity. Once any essential oils are added, their antibacterial properties will preserve the mixture, out of the fridge, for up to 6 months. However, all carrier oils oxidise sooner or later, so don't blend huge quantities with essential oils...............unless you are sure to use it of course! Just because base oils are packaged in plastic bottles it doesn't mean that they are inferior. Plastic is often used these days to save on packaging and shipping costs, and it is fine to store your base oils this way. Essential oils, however, should always be stored in glass bottles. Ultimately it is your choice which carrier, or blend of carriers to use, but as more becomes known about the beneficial effects of the individual oils, the more important the choice becomes. Click on the oil of your choice below to find out more. For explanations of some of the terms used to describe the properties please have a look at the glossary.